No show or cancellation within 24 hours will be charged a 1 night fee per room. 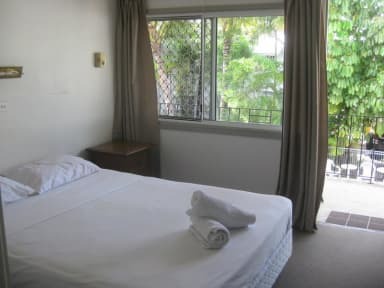 If you are looking for a relaxing, unpretentious and economical accommodation for your stay, look no further. Our facilities include an in-ground salt water swimming pool, WiFi, tour desk and on-site parking (limited availability), all for your convenience. 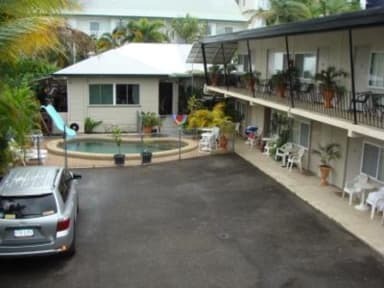 If while you're here you are looking to explore a few of Cairns main attractions, you'll only be a short walk away to The Reef Casino, The Swimming Lagoon, The Esplanade, Reef Fleet Terminal, Cairns Central Shopping Centre, Rusty's Markets and More! We offers a free shuttle bus service from the Airport from 08:00 until 20:00. Please make your way to bus stop number 6 (at domestic arrivals) and inform the driver that you are staying at Cairns City Motel.